It’s time to take a close look at an often ignored subject: what ordinary Palestinians think about Israel, Jews, and terrorist attacks on civilians. 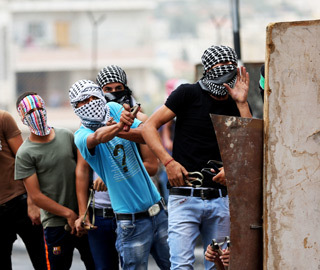 Masked Palestinian youths use slingshots to hurl rocks and marbles at an Israeli military checkpoint in Bethlehem, West Bank on October 23, 2015. Anna Ferensowicz/Pacific Press/LightRocket via Getty Images. The most recent wave of Palestinian terror attacks, now entering its second month, has been mainly the work of “lone wolf” operators running over Israeli civilians, soldiers, and policemen with cars or stabbing them with knives. The perpetrators, many in or just beyond their teenage years, are not, for the most part, activists in the leading militant organizations. They have been setting forth to find targets with the expectation, generally fulfilled, that after scoring a casualty or two they will be killed or badly wounded. What drives these young Palestinians, experts say, is a viral social-media campaign centered on claims that the Jews are endangering the al-Aqsa mosque in Jerusalem and that Israel is executing Palestinian children. Pundits and analysts in Israel and the West, struck by the elements that make this round of violence different from its predecessors over the past decade-and-a-half—which typically featured well-orchestrated shootings, suicide bombings, or rocket fire—have focused on the motivations of individual attackers, on how and why the Palestinian political and religious leadership has been engaging in incitement, and on what Israeli officials or American mediators might do to quell the violence. Absent almost entirely from this discussion has been any attempt to understand the perspective of everyday Palestinians. Yet it is precisely the climate of public opinion that shapes and in turn is shaped by the declarations of Palestinian leaders, and that creates the atmosphere in which young people choose whether to wake up in the morning, pull a knife from the family kitchen, and go out in search of martyrdom. Whether commentators are ignoring the views of mainstream Palestinians out of a mistaken belief that public opinion does not matter in dictatorships, or out of a dismissive sense that they are powerless pawns whose fate is decided by their leaders, Israel, or regional and world powers, the omission is both patronizing and likely to lead to significant misunderstandings of what is happening. In this essay I aim to fill the lacuna by addressing what Palestinians think both about violence against Israelis and about the core issues that supply its context and justification. My interest in Arab public opinion in the West Bank and Gaza is longstanding, dating back to the time regular surveying began there shortly before the 1993 Oslo accords between Israel and the PLO. In 1996, I appeared on a panel with Khalil Shikaki, the pioneering director of the Palestinian Center for Policy and Survey Research (PSR); since then, I have been increasingly impressed with his insights and his institute’s professionalism. I therefore took particular notice of a PSR survey that appeared after the August 2014 ceasefire ending the latest war between Israel and Hamas. It reported, among other findings, that fully 79 percent of Palestinians believed Hamas had won the war and only 3 percent saw Israel as the victor. 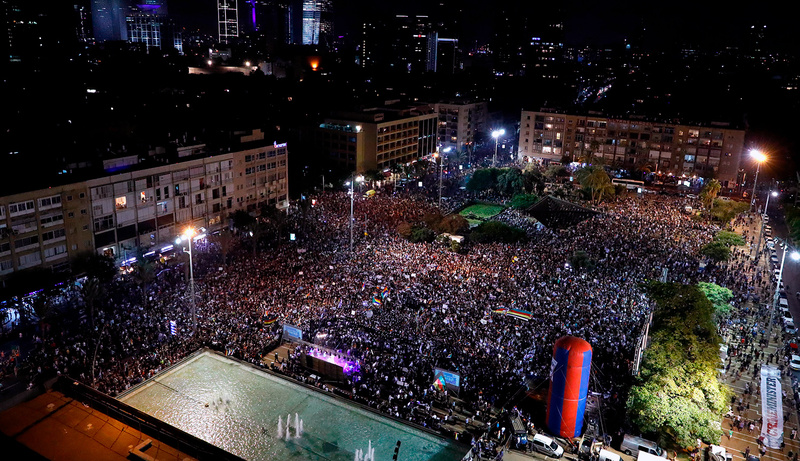 So convinced were respondents of their side’s strength that nine in ten favored continued rocket fire at Israel’s cities unless the blockade of Gaza were lifted, 64 percent declared their support for “armed attacks against Israeli civilians inside Israel” (meaning, among other things, suicide bombings in Israeli population centers), and 54 percent applauded the event that in large measure had precipitated the 50-day war: the abduction and murder by Hamas operatives of three Israeli teenage boys hitchhiking home from school. In the ensuing months, I read further polls from PSR and other research institutes to see whether support for violence would drop appreciably once the emotions fired by war had cooled. Yet despite a modest decline over time in most indicators, a majority continued to support virtually every kind of attack against Israelis about which they were asked—including rocket fire, suicide bombings, and stabbings. These and other findings led me back to the polls conducted in earlier years, and eventually to embarking on a comprehensive analysis of all reliable and publicly available surveys in the West Bank and Gaza over the past two decades. For this project, I examined over 330 surveys carried out by the four major Palestinian research institutes, each of which has been conducting regular polls for a decade or more: the PSR headed by Shikaki and its predecessor, CPRS; the Jerusalem Media and Communications Center (JMCC); the Birzeit Center for Development Studies (CDS), whose work was later continued under the same director by the Arab World for Research & Development (AWRAD); and the Opinion Polls and Survey Research Unit of An-Najah National University. Each of the four has conducted between 50 and 120 polls and has made the results available online in English (and generally in Arabic). Although commentators typically describe the four as having differing perspectives, all are independent of any government, party, or other institutional framework that might introduce systematic bias into their work. All conduct face-to-face interviews; customarily include more than 1,000 people in each survey; use variants of “area-probability” sampling; and train fieldworkers extensively—which means that the margin of error for their polls is typically 3 to 5 percent, with a confidence level of 95 percent. Moreover, many of their questions are asked repeatedly over time, making it possible to adjust for momentary swings of opinion. And since the questions asked by the four institutes are themselves often similar, it is possible to compare responses, thus testing the degree to which the findings are or are not affected by the specific perspective or methodology of a given institute. Tellingly, poll respondents in the West Bank regularly voice strong criticism of President Mahmoud Abbas and the Palestinian Authority (PA) government that rules there, while those in Gaza often speak negatively about the Hamas leadership, so it appears that Palestinians are not cowed from giving their honest opinions. The consensus among informed scholars is therefore that the surveys are reliable, valid, and genuinely reflective of what Arab residents of the West Bank and Gaza think. I also examined data from two international institutes that have conducted parallel surveys among residents in the West Bank/Gaza and in Arab and Muslim countries: the Pew Research Center, which since 2002 has included countries in the Middle East in its annual global surveys, and the Arab Barometer initiative, a consortium founded by Princeton University and the University of Michigan that since 2006 has overseen three waves of polling in the Middle East. To round out the picture, I incorporated a handful of surveys carried out by Palestinian polling firms on behalf of well-known international experts. In what follows, I focus on three related questions: What do Palestinians think of Israel and of Jews? How do they view the Jewish claim to at least a part of the land of Israel, and especially Jerusalem? And what do they believe about the legitimacy, efficacy, and desirability of carrying out terrorist attacks against Israelis? My hope is that, on the basis of these findings, I can provide a better sense of what lies behind the current wave of violence and perhaps stimulate discussion about how it might be curbed. 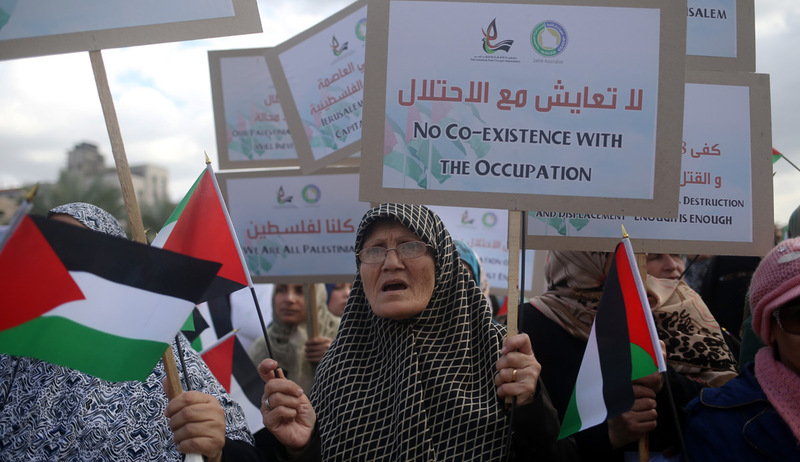 Since the establishment of the PA in 1994, the Palestinians have been beset by problems. The government has increasingly been viewed as corrupt, undemocratic, and unable to enforce law and order or to reform itself. The economy has generally been weak, infrastructure sub-par, and the PA unable at times to pay salaries. Since Hamas took over Gaza in 2007, the Palestinian state-in-the-making has been divided, with Fatah continuing to rule the West Bank and all efforts at reconciliation a failure. The peace process with Israel has been stalled much of the time, in part because of periodic outbreaks of violence, and the handover of territory and authority to the PA has been far slower than envisioned in the Oslo accords. Who is responsible for the problems plaguing the Palestinians? During the last two decades, the four institutes whose surveys I examined have asked numerous questions on this subject, and on 53 occasions have offered Israel as one of the possible answers. In all but one case, Israel was the answer most widely chosen, usually by a statistically significant margin—including when it came to problems that at least at first glance seemed largely internal. Among these were clashes between PA police and Hamas that left thirteen dead (1994), Palestinian economic problems (2000), the hindering of political reform in the PA (2001), Mahmoud Abbas’s decision to resign as prime minister (2003), lack of law and order in PA-held territories (2004), the blocking of reform in the PA (2004), the Hamas coup that wrested control of Gaza from Fatah (2007), a water crisis in the West Bank and Gaza (2010), a fuel shortage in Gaza (2012), the inability of the PA to pay its employees (2013), and the ongoing inability of Hamas and Fatah to reconcile (2015). A large majority of Palestinians were convinced that Israel sought deliberately to target civilians, and held Hamas blameless for positioning its leadership, fighters, and weapons in populated areas. So convinced were Palestinians that Israel was responsible for the Gaza wars, for example, that after each conflict, when asked by JMCC pollsters whether they believed it was “possible for the Palestinian side to avoid it, or was Israel planning to launch the war in all cases,” overwhelming majorities averred that Israel was intending to go to war regardless of Palestinian actions. Likewise, a large majority of Palestinians were convinced that Israel sought deliberately to target civilians, and held Hamas blameless for positioning its leadership, fighters, and weapons in populated areas. The perception of Israel as implacably hostile and even demonic affects responses to questions not only about the past and present but also about what Israelis and their government are likely to do vis-à-vis the Palestinians in the future. For instance: as anyone observing Israeli politics over the last decade is aware, the most widely held position within Israel favors the establishment of a Palestinian state in most or all of the West Bank and Gaza; a minority prefer to increase Palestinian autonomy but with Israel remaining in charge overall. Palestinian polls, however, tell a very different story. It is in this context that one must consider Palestinian public opinion about the area of Jerusalem known by Jews as the Temple Mount and by Muslims as Haram al-Sharif (the Noble Sanctuary). Here stood the ancient Israelites’ First and Second Temples until the latter was destroyed by the Romans nearly 2,000 years ago, and here for thirteen centuries have been situated the al-Aqsa mosque and the Dome of the Rock. The area, captured by Israel from Jordan during the Six-Day War in 1967, has been administered by Jordanian (and, to a lesser extent, Palestinian) religious officials representing the Islamic Waqf. 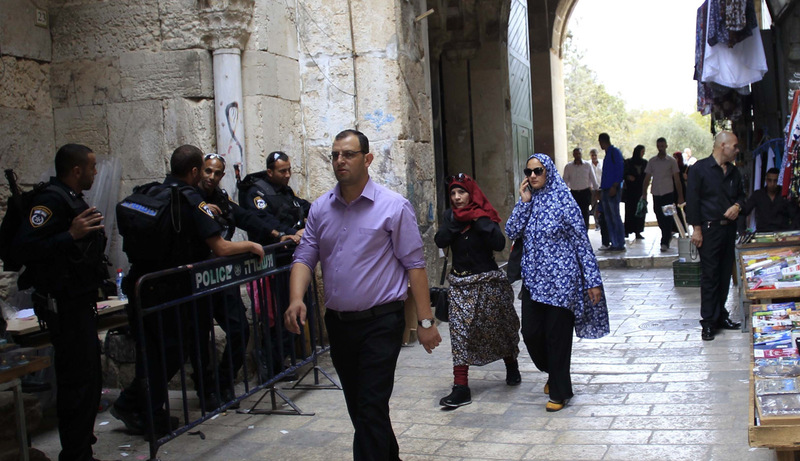 The status quo, unchanged for a half-century except at the margins, is that Muslims can visit the Temple Mount at all hours and pray at its mosques, while Jews are restricted in their visiting hours, have no structure for worship, and are forbidden from praying even as individuals. In 2014, a few right-wing Israeli politicians did propose modifications that would augment the hours for Jewish visits and enable Jews to pray; since then, however, Prime Minister Benjamin Netanyahu and other senior officials have reiterated dozens of times that the status quo will not be changed. Against that background, on four occasions in the last year PSR asked residents of the West Bank and Gaza for their views on Israel’s plans for the Mount. On average, only 11 percent believe Israel will maintain the status quo; 16 percent hold that it will allow Jews to visit any time or to pray there; one-fifth claim that it will “divide the al-Haram area between Muslims and Jews, allowing Jews to establish a synagogue next to al-Aqsa mosque”; while the majority, 51 percent, assert that Israel will “destroy al-Aqsa and Dome of the Rock mosques and build a synagogue in their place.” Again, a position with no basis in the policies of any of the parties in Israel’s governing coalition or opposition is assumed by an absolutely majority of Palestinians to reflect the true intentions of its government. The specific findings noted above fit with a more broadly negative view of Israelis and Jews that Palestinians espouse on the rare occasions when pollsters have given them the opportunity to generalize. In February 1999, JMCC offered survey participants “a list of characteristics that could be used to describe the Israelis” and asked for a score on a scale of 1 to 5. Regarding the first characteristic, “violent,” 76 percent gave Israelis the highest rankings, a 4 or 5. On the second trait, “honest,” 67 percent scored Israel a 1 or 2. The third trait was “intelligent,” and here Palestinians gave Israelis credit, with 61 percent rating them a 4 or 5. Two years later, with the second intifada well under way, JMCC did a similar poll showing even more pronounced results. The proportion of Palestinians scoring Israelis at 5 for violence went up to 88 percent, with another 7 percent giving them a 4. More than four-fifths saw Israelis as dishonest. In place of “intelligent,” JMCC pollsters asked to what extent Israelis were “strong,” and here 58 percent of Palestinians gave them high marks. What emerges, then, is a picture of Israelis as violent and untrustworthy, but clever and strong—which matches up with Palestinian assessments of Israel’s outsized power and diabolical nature in its past behavior and future intentions. On the rare occasions when they have been given the opportunity to generalize, Palestinians characterize Israelis as belligerent and untrustworthy but clever and strong, and finger Judaism as the most violent of all religions. Palestinians also see Jews as lacking a historical tie to the land of Israel or to Jerusalem. In 2011, the American political consultant Stanley Greenberg commissioned a survey of Palestinians on behalf of The Israel Project. When presented with several statements describing actions that could be viewed as morally right or wrong, 72 percent declared it morally right to deny that “Jews have a long history in Jerusalem going back thousands of years,” while 90 percent declared “Denying that Palestinians have a long history in Jerusalem going back thousands of years” to be morally wrong. A majority of Palestinians appear to have translated this historical understanding into political conclusions. On fifteen occasions between 2003 and 2014, pollsters from PSR asked whether it would be acceptable, in the framework of a comprehensive agreement for a two-state solution, to divide Jerusalem so the Palestinians would have their capital in eastern Jerusalem and exercise sovereignty over the Arab neighborhoods and the Old City, including Haram al-Sharif, while Israel would be sovereign over Jewish neighborhoods, the Jewish quarter of the Old City, and the Western Wall. On every occasion, respondents soundly rejected the proposal, with opposition almost always exceeding three-fifths. These findings match those of a poll by Bir Zeit’s CDS. No reliable survey to date has shown that a majority of Palestinians are willing to accept such a division of the city. Palestinian views of Israel hardly provide the fertile ground of trust, respect, or shared assumptions that would facilitate reaching a long-term accommodation or bringing about co-existence. But must they lead to support for violence against Israelis? To back such violence, after all, Palestinians must hold a set of views that prejudice them in favor of carrying out actual attacks. To those views we now turn. On the surface, the decision of ordinary Palestinians to support or not to support the initiative of young people who take knives and go out to attack Jews in Jerusalem’s Old City, or run over Israelis on the roads of the West Bank, seems straightforward enough. Yet views on the use of violence in these and other cases are based on a host of assumptions and attitudes, most of which are probably not considered consciously. 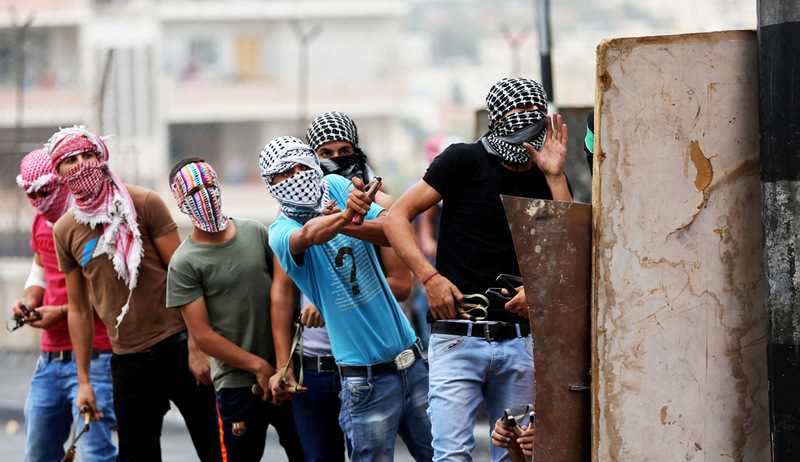 In light of the salience of Palestinian violence, and in an effort to understand its contours and origins, pollsters have asked a large variety of questions and compiled a rich body of data. Before examining levels of support for specific kinds of actions, it is valuable to consider the attitudinal evidence, grouped here under three headings. 1. 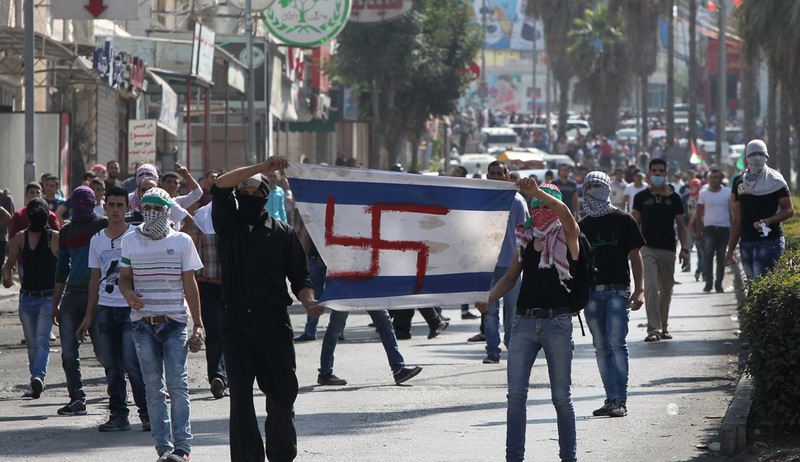 Is Violence against Israelis and Westerners Legitimate? To what extent do Palestinians see it as morally right and appropriate to use violence against Israelis, or against Westerners more generally? A good place to begin this inquiry is a PSR poll in December 2001, one of whose questions was: “In your opinion, are there any circumstances under which you would justify the use of terrorism to achieve political goals?” Fifty-four percent responded that there were no such circumstances; 37 percent said there were. At first glance, this would indicate the majority’s rejection of terrorism on moral grounds, a particularly significant finding since the poll was conducted at the height of the second intifada. To understand what this finding means in practice, however, we must take into account how Palestinians interpret the word “terrorism.” In that same poll, 98 percent said the 1994 killing of 29 Palestinians in Hebron by Baruch Goldstein was terrorism, but only 15 percent were willing to label as terrorism a 2001 attack by Palestinian suicide bombers that killed 21 Israelis at the Dolphinarium night club in Tel Aviv. Likewise, 93 percent described as terrorism Israel’s August 2001 assassination of the head of the PFLP, a PLO wing that repudiated the Oslo accords and carried out numerous attacks against Israelis, but only 10 percent countenanced the term to describe the PFLP’s assassination of the right-wing Israeli government minister Rehavam Ze’evi two months later. When asked hypothetically if Israel’s use of chemical or biological weapons against Palestinians would constitute terror, 93 percent said yes, but when the identical question was posed regarding the use of such weapons of mass destruction by Palestinians against Israelis, only 25 percent responded affirmatively. 98 percent of Palestinians said the killing of 29 Palestinians in Hebron by Baruch Goldstein was terrorism, but only 15 percent were willing to say the same for an attack by suicide bombers that killed 21 Israelis in Tel Aviv. Also in the same survey, Palestinians were asked whether “The destruction of the Twin Towers in New York City by people suspected to be members of Bin Laden’s organization” was terrorism. Only 41 percent were willing to say yes; 53 percent rejected the term. The same pattern crops up in surveys conducted between 2006 and 2009 by the Arab Barometer project, in which Palestinians consistently distinguished themselves from other Arabs in rejecting the term terrorism for such jihadist operations as the “Madrid train explosions” (March 2004, 191 killed) and the “London underground explosions” (July 2005, 52 dead). In both cases, a majority of Palestinians averred these were not acts of terror, whereas comparable figures in the other Arab publics ranged from 17 percent down to 2 percent. This highly differentiated usage of “terrorism” affects the wording of all surveys conducted among Palestinians. In describing attacks by Arabs on Westerners or Israelis, pollsters therefore resort to more acceptable formulations like “resistance operations,” “military operations,” “armed attacks against Israeli civilians in Israel,” and the like. Palestinian attitudes toward the legitimacy of violence can be further understood from a second set of international polls by Pew. On six occasions in the last decade, Pew asked the following question in the West Bank and Gaza, as well as in Muslim and Arab countries: “Some people think that suicide bombing and other forms of violence against civilian targets are justified in order to defend Islam from its enemies. Other people believe that, no matter what the reason, this kind of violence is never justified. Do you personally feel that this kind of violence is often justified, sometimes justified, rarely justified, or never justified?” Though the level of support varied widely among countries and across time, one constant is that the Palestinians were always the leaders in seeing suicide bombings and similar attacks as justified. On average, 59 percent saw them as being justified often or sometimes; no other Arab or Muslim public came close. Though I am unaware of any polls asking Palestinians whether it is legitimate to attack Israelis with the aim of securing political or other gains, it is hard to imagine that such attacks would command less support than the three-fifths justifying such actions to defend Islam in general, or to strike at American targets in particular. For a majority of Palestinians, the use of violence against Westerners is seen as a legitimate means of defending Islam or securing political or other gains; but, with respect to Israel, is it also an effective means of achieving their goals? On this subject, numerous questions have been asked over the last two decades, both retrospectively about past events and prospectively about the future. 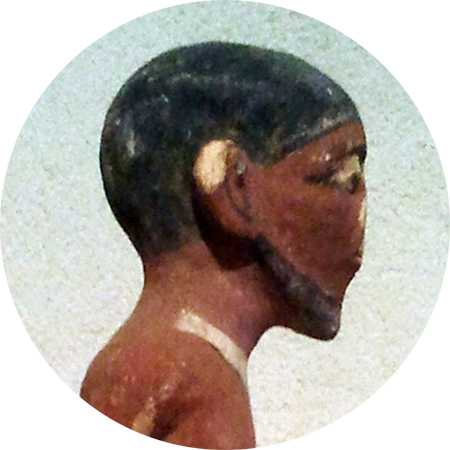 Regarding the past, the picture is fairly clear. The same pattern is discernible in opinions about the three Gaza wars. In December 2012, after the second war, 84 percent responded affirmatively to AWRAD pollsters asking whether “the results of the Gaza conflict will lead to tangible progress toward Palestinian independence,” and despite a slight decline the figure remained robust for months afterward. Following the 2014 war, as I noted earlier, PSR reported that 79 percent saw Hamas as the winner. In fact, after each of the three wars, overwhelming majorities asserted to pollsters from each of the Palestinian institutes that their side was the victor. When Palestinians look back at sustained campaigns of violence, whether in the second intifada or in the three wars with Hamas, they see them as victories, and they tend to believe that armed campaigns are also likely to be effective in the future. 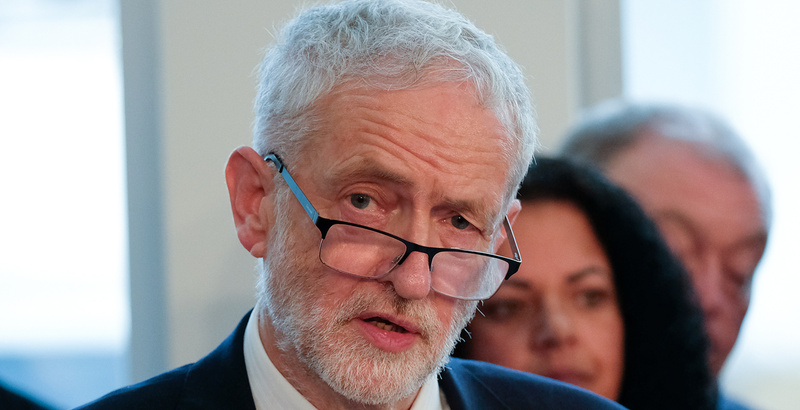 To be sure, there have been occasions when the majority of Palestinians have looked back at particular attacks and concluded they did more harm than good. In 2010, for example, members of Hamas’s military wing shot and killed four Israelis near Hebron, including a pregnant woman and the father and mother of a family of six children. 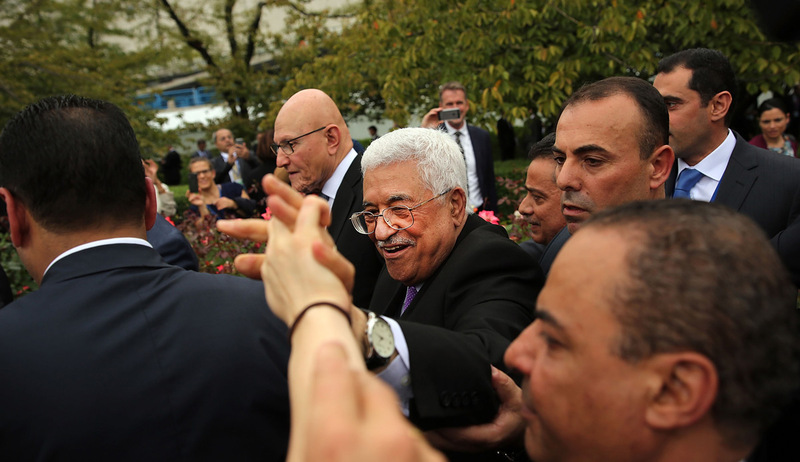 The attack, which came a couple of days before Israeli and Palestinian officials were slated to launch a new round of negotiations in Washington, shattered a period of relative calm. When asked about it shortly afterward, twice as many respondents predicted it would hurt rather than advance Palestinian interests. Likewise, in polls on a number of occasions between September 2010 and December 2011, a small majority expressed the view that, should armed clashes erupt, they would not have a better chance to bring about gains than would negotiations. Under certain circumstances, then, a majority of Palestinians conclude that the timing for an outbreak of violence is wrong. But these are exceptions: when Palestinians look back at sustained campaigns of violence, whether in the second intifada or in the three wars with Hamas, they see them as victories, and they tend to believe that armed campaigns are also likely to be effective in the future. Similar questions have been asked about leading figures known for threatening or using violence against Israel or the West. In Pew studies conducted in dozens of countries and in the Palestinian territories, Palestinians have been the most fervent admirers of, for instance, Hassan Nasrallah, who led the Hizballah terrorist organization against Israel in the 2006 Lebanon war and since then has repeatedly threatened to attack the Jewish state and its citizens. Though absolute levels of support for Nasrallah have varied over the years, the Palestinians outstripped every other people in expressing their confidence in him on the three occasions the question came up. Although the Palestinian population is overwhelmingly Sunni, Palestinians consistently led others in their admiration not just for Nasrallah but for Shiite Hizballah itself. Within the Middle East, they expressed the highest levels of confidence in Iranian president Mahmoud Ahmadinejad, another prominent Shiite Muslim known for his repeated threats to annihilate Israel. Moreover, they led the world over the course of a decade in believing that Osama bin Laden, the mastermind behind the 9/11 attacks and a vociferous foe of Israel, could be counted on to “do the right thing in world affairs.” In 2011, the last time Pew asked about bin Laden before his death at the hands of American commandos, the Palestinians once again outdid all others in their admiration, just as they did on various occasions in their favorable assessments of al-Qaeda—and (the one time they were asked in a Pew survey) of the Taliban. So much for Palestinian views on the foundational issues of the legitimacy, effectiveness, and praiseworthiness of violence. When it comes to the actual question of whether to support particular types of violence in advance, or to express backing for concrete attacks after they happen, what views do ordinary Palestinians hold? Broadly speaking, from the Oslo accords in September 1993 until spring 2000, a plurality of Palestinians were against most kinds of armed attacks. According to a question posed by CPRS sixteen times during this period, 49 percent opposed “armed attacks against Israelis” and 42 percent favored them. A handful of JMCC polls confirmed this reading of public sentiment. But a caution is in order. When large numbers are supportive of armed attacks—and 42 percent is a large number—it does not much matter if they are slightly outnumbered by those opposed to such actions. Anyone contemplating an attack can still expect to benefit from a substantial network of backers, and if successful to bring great honor upon himself and his family. Needless to say, though, actual majority support will provide all the more fertile ground for attacks—and since the eve of the second intifada in September 2000 until today, there has been, during most periods, majority support among Palestinians for violence of almost every kind against Israelis. Anyone contemplating an armed attack can expect to benefit from a substantial network of backers, and if successful to bring great honor upon himself and his family. For most of the last decade-and-a-half, suicide bombings, which have generally been aimed at civilians and have been the most lethal in their impact, have enjoyed the support of solid Palestinian majorities. On 17 occasions between April 2001 and March 2013, JMCC asked, “How do you feel toward suicide-bombing operations against Israeli civilians?” Supporters outnumbered opponents all but four times, and on average the level of support exceeded opposition by a full twenty points. Breaking down the data further, we see that strong supporters constitute the single largest group, followed by moderate supporters, then moderate opponents and, smallest of all, those strongly opposed. Although PSR, for its part, did not ask specifically about suicide bombings, on 48 occasions between 2000 and 2015 it did inquire about views on “armed attacks against Israeli civilians inside Israel”; in most cases, supporters outnumbered opponents, with those expressing strong support almost always outpacing, often by as much as six to one, those voicing strong opposition. On the half-dozen occasions this question was asked in the last twelve months, supporters outnumbered opponents every time. Even higher levels of support have been registered after attacks that succeed in killing Israelis. Whereas an October 2003 poll by PSR reported 54-percent support for attacks on Israeli civilians in general, when asked about “the bombing operation in the Maxim restaurant in Haifa, which led to the death of 20 Israelis,” the proportion of support reached 74 percent. Parallel leaps from in-principle backing for future actions to after-the-fact support for concrete attacks are reported in polls from September 2004 (after a bomber in Tel Aviv killed 11 Israelis), June 2006 (lethal attack on a shopping center in Dimona), and March 2008—when respondents were asked about “the bombing attack in the religious school in Jerusalem inside Israel . . . in which eight Israeli students were killed in addition to the Palestinian attacker.” For that event, support swelled to 84 percent. One may speculate about the reasons behind heightened support for specifically named attacks. It may be a consequence of the society-wide adulation of shahids (those who die carrying out attacks) during the weeks after they attain bloody martyrdom, of the higher regard for suicide bombings than for other kinds of actions, and/or of enthusiasm for striking Israelis in places of special significance—like Tel Aviv, the symbol of Jewish economic power, or Jerusalem, the focal point of religious contention, or Dimona, the epicenter of Israel’s military might. Whatever the reason, individuals considering such an attack can expect the prospect of even greater honor and celebration than might otherwise be anticipated—for themselves, their families, and any militant organization with which they are connected. An even larger consensus has favored violence against Israeli settlers, reaching 87 percent on average in polls by CPRS and PSR during the decade ending in 2004. Indeed, since that year, PSR ceased asking about attacks on settlers, perhaps because the answers were already so consistent. But the phenomenon bears relevance to the current round of violence, a substantial part of which has been aimed at Israelis living or traveling in the West Bank. Moreover, in the eyes of the Palestinian mainstream, Jews living in Jerusalem’s Old City or in the neighborhoods that Israel captured in 1967, such as Pisgat Ze’ev and Armon Hanetziv, are also considered settlers. Palestinian news reports about the latter, for example, routinely refer to “the Israeli settlement of Armon Hanetziv built on the lands of Jabal al-Muqaber.” These areas have been targeted in part because of the relative ease with which the perpetrators (most of whom have hailed from eastern Jerusalem or Hebron) can reach them, but an additional factor may have been the higher level of support for attacking Israelis in such places. Even more formidable is the societal consensus behind attacks on Israeli soldiers. In a dozen polls between 2001 and 2004, PSR found such support averaging 90 percent, with strong backers outnumbering strong opponents by a lopsided fifty to one. This particular feature of Palestinian opinion, about which pollsters stopped asking questions a decade ago, could help explain why so many recent attacks have been aimed at soldiers and policemen. During the recent wave, moreover, Palestinian support for the favored modes of attack has in all likelihood been high as well. In a December 2014 poll, PSR posed the question: “Recently there has been an increase in Jerusalem and the rest of the West Bank in attempts to stab or run over Israelis. Do you support or oppose these attempts?” Seventy-eight percent were supportive, only 20 percent opposed. Though the question has not been repeated since then, there is no reason to believe the response today would be substantially different. To sum up: these findings show the degree to which the recent Palestinian perpetrators of violence reflect and are acting on the basis of views widely held in their society. Though they may be lone wolves in the technical sense of not belonging to an organizational command structure, they are anything but alone within their communities. To the contrary, they are surrounded by people who share many of their core beliefs, who justify the attacks they are carrying out, who see their actions as potentially valuable in furthering Palestinian goals, and who can be counted on to venerate them and their families. These popularly held attitudes also make it difficult for Palestinian officials to limit their own incitement of violence or to deploy security forces vigorously to curb the attacks. So long as Palestinian popular opinion remains where it is, eruptions of violence will always be possible, and once begun can easily and quickly escalate. Could anything change this state of affairs? It seems highly improbable that the Palestinian masses, whose views have been relatively stable for so long, will spontaneously shift gears in the foreseeable future. Nor are there any signs that Palestinian media or religious leaders are rethinking their own, often incendiary role in shaping public opinion. Moreover, the populations of the neighboring Arab states and the media that cater to them—a main reference point for Palestinians—are hardly poised to help bring about positive change. Not only is public opinion in these countries unrelentingly hostile to Jews and Israel, but the Arab world as a whole is suffering a wave of internecine violence, which hardly makes it a model to be emulated. Similarly farfetched, but for other reasons, is the idea that Israeli leaders, by modifying their rhetoric or restraining the reactions of the security forces, can appreciably dampen Palestinian support for violence. Doves might argue that Israel could transform Palestinian opinion in the long term with an offer of a two-state solution more generous than those advanced by former prime ministers Ehud Barak and Ehud Olmert (and rejected by the Palestinian leadership). Hawks might contend that change can be brought about by exacting a price for violence and ensuring that it never serves to advance Palestinian interests. But in the short and medium term, neither of these approaches is likely to be effective. Palestinians view Israeli words and deeds through a powerfully distorting lens. A half-century of Israeli restraint at the Temple Mount has failed to convince most Palestinians that there is no plan to replace the mosques on Haram al-Sharif with a Jewish house of worship. A decade-and-a-half marked by prolonged and intense bouts of violence has persuaded Palestinians that the use of force generally helps them, and many have formed these views based on earlier rounds of attacks against Israelis and Westerners dating back a number of decades. Additionally, a series of confrontations between the West and the Arab/Islamic world has ingrained in most Palestinians a belief that attacking Western or Israeli targets, far from constituting terrorism, is legitimate resistance. Hence, Israel is an unlikely candidate to mitigate Palestinian support for violence. The onus is therefore on the Palestinian leadership to recognize the dangers posed to its own self-interest by the current volatile circumstances and to take a firm and consistent stance against violence. Of course, there is no expecting Hamas to adopt such a position, which would contravene its organizational ethos and traditions ingrained over two-and-a-half decades. But is it utterly inconceivable that a successor to the eighty-year-old Abbas might do so? Whatever his weaknesses may be—and they have been abundantly on display in recent weeks—Abbas has preached for a decade that violence is not beneficial to the Palestinian cause and has consistently ordered his security forces to cooperate with Israel in quelling armed attacks. This is at least a precedent on which a stronger and more courageous leader might build. Palestinian support for violence, and the attitudes underlying that support, have developed and become entrenched over a period of decades. Altering those attitudes can only begin once the attitudes are recognized for what they are, without blinking and without excuses. Toward that end, I hope this essay, along with the broader research project of which it is a part, can serve as a catalyst.